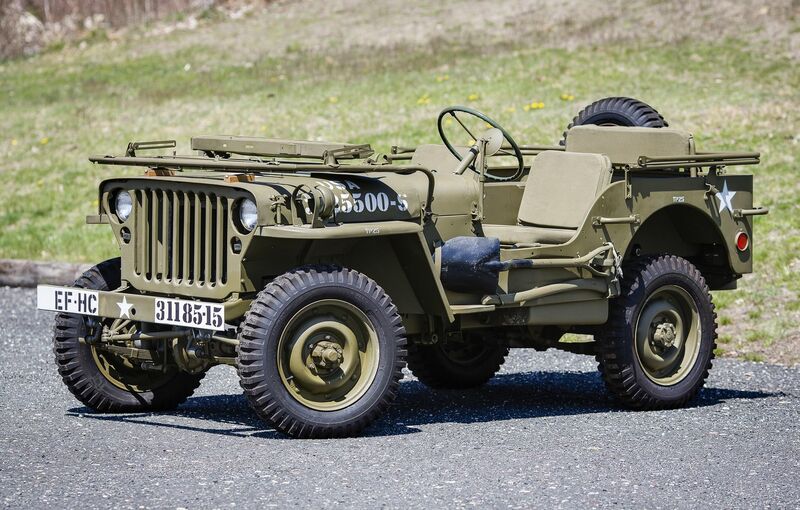 Home » Contributor » Who made the first Jeep? Who made the first Jeep? It became obvious that the US was going to be pulled into the war in Europe in the late 1930s and many military branches started to get ready for that. In early 1940, the US Army contacted 134 companies to ask them if they would like to build a prototype of a small, 4WD reconnaissance car. Only two companies answered the army’s request: Willys-Overland and The American Bantam Company. That lack of response was probably due to the ridiculous deadline they had placed on their request -a working prototype needed to be delivered within 49 days. We checked with the service folks at Kernersville Dodge Chrysler Jeep RAM, a full-service car dealer in Kernersville, NC, and they thought this was really a tight deadline! Willys asked for more time to create a prototype but the Army refused that request. The bankrupt American Bantam Car Company, who had zero engineering people left working for them, solicited Karl Probst, an ex-Bantam consultant to assist. Working at a feverish pace, Probst laid out full plans for the BRC (Bantam Reconnaissance Car) in two days. While much of that vehicle could be assembled from existing parts, custom 4WD components were to be supplied by the Spicer Corporation. This prototype was completed and delivered to Maryland for Army testing on September 21, 1940. Although the Bantam prototype met nearly all requirements, and went into production in 1941, the Army felt that the company was too small to supply the number of vehicles it required, so it supplied the Bantam design to Ford and Willys who were encouraged to make changes. The resulting Ford “Pygmy” and Willys “Quad” prototypes looked similar to the Bantam BRC prototype. It now was a competition among three potential suppliers. Fifteen hundred of each of the three models were built and field-tested. The Willys version of the vehicle would become the standardized jeep design, designated the “Model MB,” and was built at a plant in Ohio. The Army chose Ford as the second supplier but they had to assemble Jeeps to the Willys’ design. American Bantam, the creators of the first Jeep, spent the rest of the war putting together heavy-duty trailers for the Army. Incidentally, none of the original manufacturers used the term “Jeep” to designate their vehicles. Although there is debate as to the name’s origin, many historians acknowledge that it was slang that was applied to the vehicle’s military “GP Vehicle” (General Purpose or Government Purpose). Another theory is that it was named after “Eugene the Jeep,” a character in the Popeye comic strip. Today, Jeep is a major automobile brand that is manufactured by Chrysler Group LLC, a company in a global strategic alliance with the FIAT Group SpA. The former Chrysler Corporation acquired the Jeep brand along with all of its remaining assets in the late 1980s from American Motors Corporation (AMC). Although the Jeep brand has made trucks in the past, Jeep’s line of vehicles today still consist solely of off-road and sport utility vehicles.